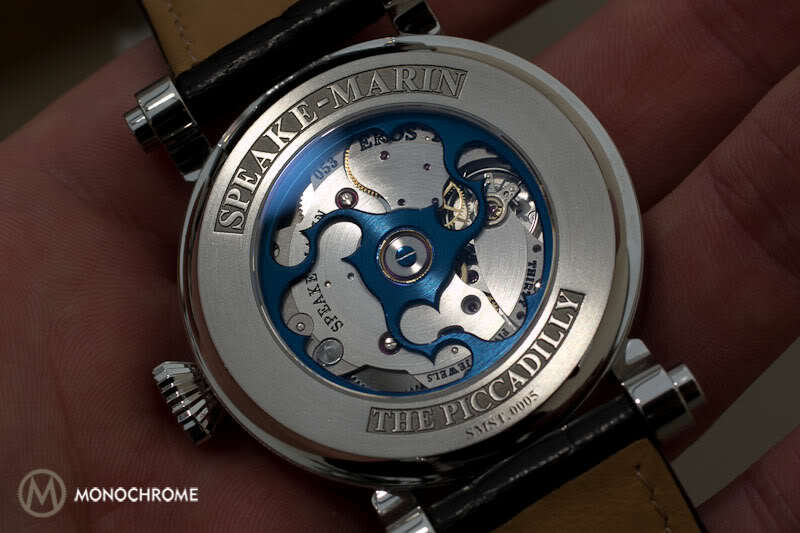 Peter Speake-Marin’s first wristwatch was the Piccadilly and he produced several series and many unique pieces, always featuring the typical Speake-Marin style. These first series, called the Original Piccadilly Collection with Enamel Dial and the Original Picadilly Serpent have now come to an end. Some designs are so strong and coherent that they will leave a indelible impression. 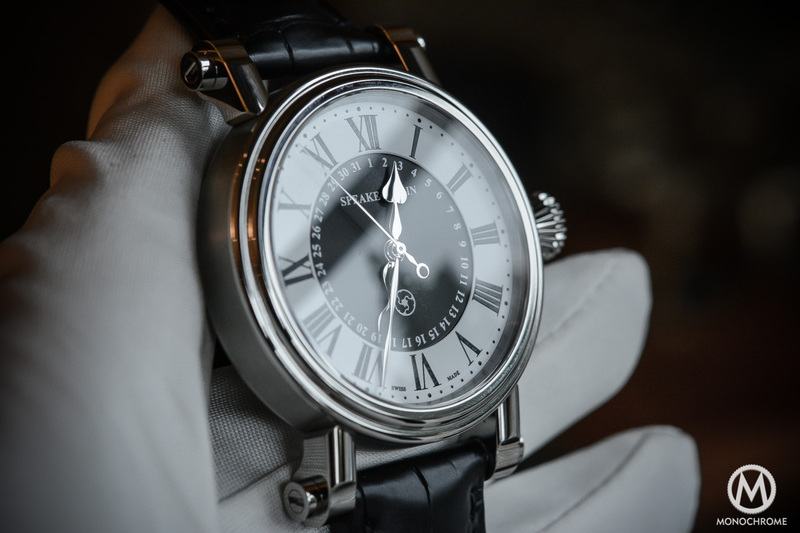 The Speake-Marin Piccadilly made such an impression on me. When I saw another typical Speake-Marin watch for sale, the Shimoda, I realized the era of the original Piccadilly has come to an end. 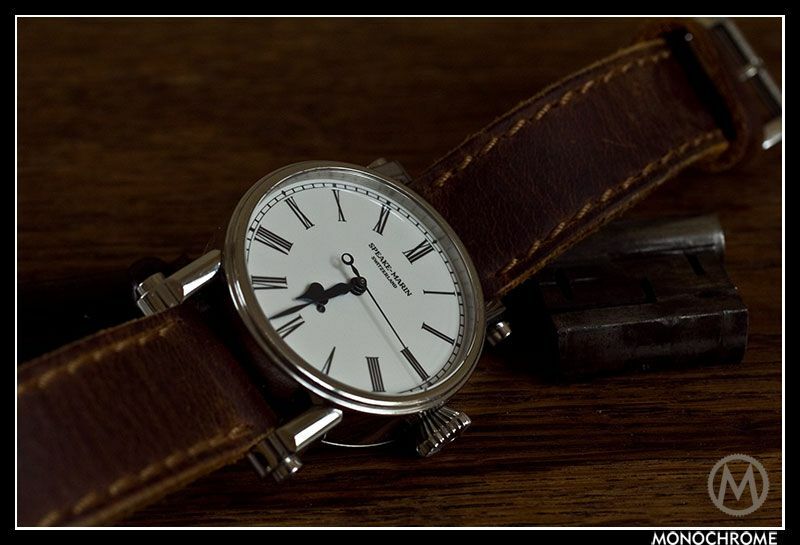 Although sad, it’s good to know it will be replaced by the new collection featuring Speake-Marin’s own movement also featuring the typical Speake-Marin style. I saw this particular Shimoda at the Timezone sales corner. This is a very special Peter Speake-Marin watch – the 38mm Shimoda in Rose Gold, Number 1. In addition to being the first of the Shimoda series in this metal, other features include a hand-engraved plate under the trademark PSM winding rotor and a violet hand, specially re-finished by Peter in order to match the hands on his Foundation Watch. A beautiful fired enamel dial and one relatively stealthy fun feature: a small diamond mounted on the “seconds hand” shaft so that it rotates once per minute. Besides models available on the second hand market, there are only a few of the Original Piccadilly Serpent collection (with date) and of the Original Piccadilly Collection in steel available. 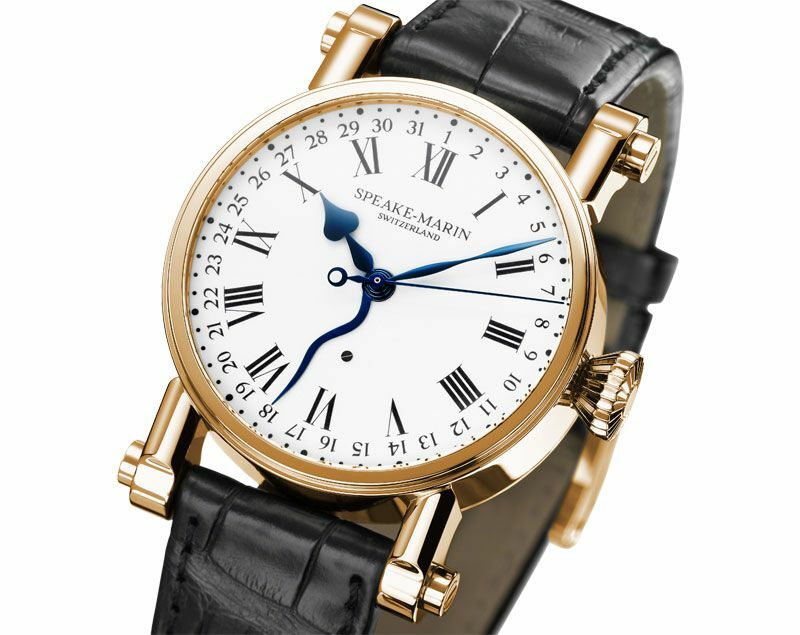 The Enamel Dial Series of the Original Piccadilly Collection are probably the most simple and sober of all Speake-Marin’s timepieces. The beauty of the enamelling, wether on a clock, an anique pocket watch or a modern wristwatch is clean and simple, classical and elegant in the mean time. Enamel dials have been used in watchmaking for several hundred years. They will always retain the same beauty from the first day they are munfactured, never tarnishing with age. Enamel dials are being repeatedly fired in an oven in excess of 800 degrees Celsius. An additional layer of enamel is applied ar each of the six baking stages, including numerals, markers and logo application, prior to a final polishing stage. 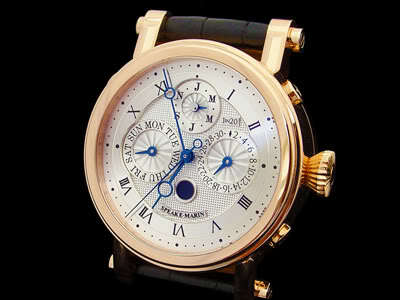 The Serpent was the first calendar watch designed by Speake-Marin. The idea goes back over a century, to early pocket watches that used the outside diameter of the dial and an extended hand to indicate the date, also called pointer-date. 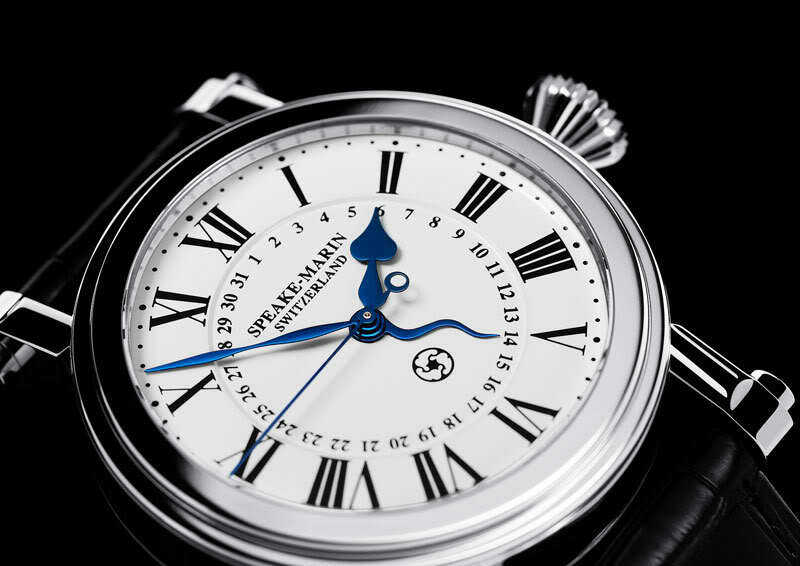 Peter Speake-Marin loves the combination of four hands that indicate the time and date from the center of the watch. The hour, minute and seconds hands of both the Original Piccadilly Collection Enamel Dial Series and the Piccadilly Serpent Collection are designed in the same style as Speake-Marin’s Foundation watch. 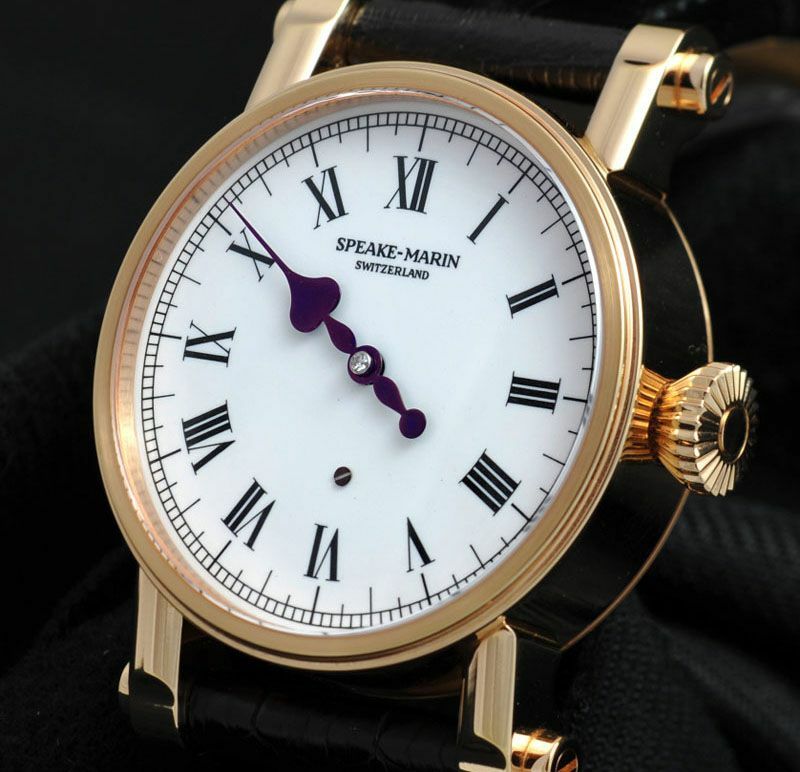 This is one of the Speake-Marin style elements, you will see in all his watches and this is what makes a Speake-Marin watch so recognizable. Both the Piccadilly and the Piccadilly Serpent feature a hybrid automatic movement based on a modern ETA 2834, originally designed in 1971. 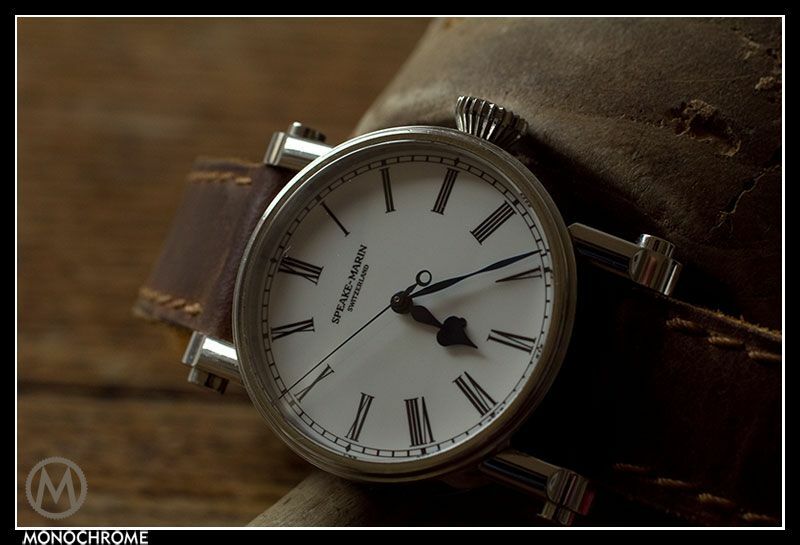 Calibre FW2012 features a large balance for precision in timekeeping as well as a solid overall construction. The in-house custom-designed rotor wheel is inspired by the watchmaker’s topping tool and this has become one of Speake-Marin’s original signatures. The bridges, motion gears, setting lever spring, mainplate and rotor wheel have been replaced and/or redesigned, oversizedm circled, spotted, straight grained and polished by hand. 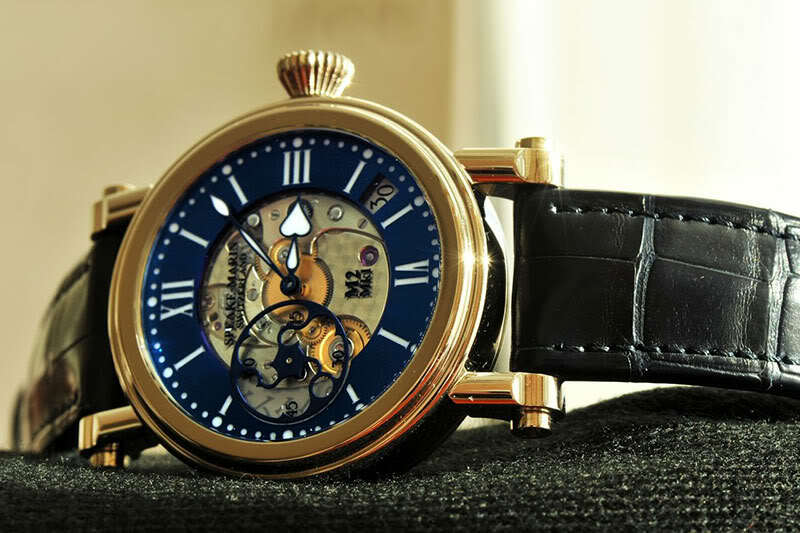 The last three Speake-Marin watches with calibre FW2010 were recently delivered to the Grönefeld Boutique in the Netherlands. The Piccadilly in steel with enamel dial is priced at € 11,500 euro (tax included), the Serpent Calendar in rose gold (2 available) is priced at € 24,950 euro (tax included). Tim Jackson of Passion Fine Jewelry has 3 Piccadillys available (a 42mm cream enamel dial and black roman numerals, same dial in 38mm and a 38mm white enamel dial with black roman numerals) and one Serpent Calendar in steel (38mm). More information can be found at the Speake-Marin website, the website of the Grönefeld Boutique and the official Speake-Marin Facebook page. I agree Geo, it’s a gorgeous watch!